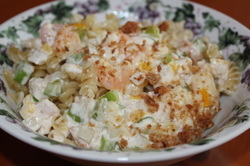 In a large bowl, mix crab, shrimp, onion, celery and bread crumbs. In a small bowl, combine mayonnaise and Worcestershire sauce. Fold the mayonnaise mixture into the crab/shrimp mixture. Lightly coat a casserole dish. Arrange cooked pasta on the bottom of dish. 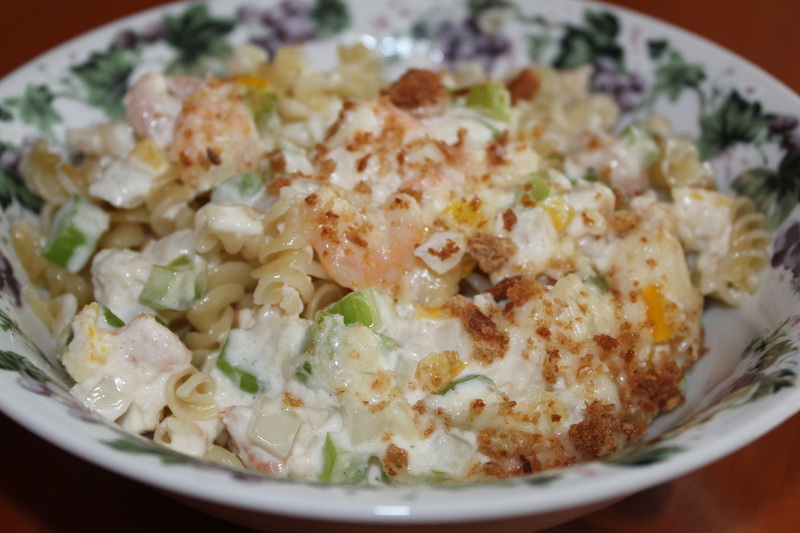 Top pasta with crab/shrimp mixture. Cover and bake in 350° oven until warm.